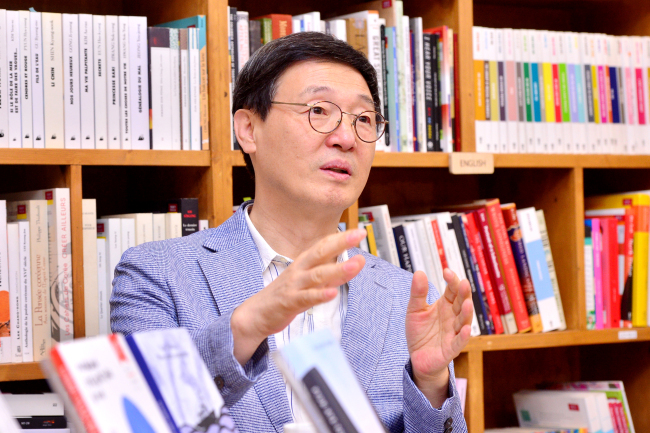 Korean literature can appeal to a broad audience overseas with the proper investment and support, according to Kim Sa-in, president of the Literature Translation Institute of Korea. The state-funded institute’s mission is to globalize Korean literature through systematized translation and networking. In other words, it strives to link Korean literature to foreign readership. Kim, who took up the post in March, met The Korea Herald on Tuesday at the institute’s office in southern Seoul. Explaining the importance of quality literary translation, Kim, brought up the subject of K-pop. Thanks to the increasing interest in K-pop stars such as BTS, more people are taking an interest in learning Korean, which will eventually lead to more interest in Korean literature, Kim said, adding that K-pop and Korean literature can develop a mutually beneficial relationship. “By improving the level of literature translation, translation for other cultural contents, including K-pop, can be improved, too. For instance, the quality of captions for music videos can be different,” Kim said. He also pointed out that Korean culture, including literature and music, is not fully understood by foreigners. Only the latest works receive attention while others are neglected. “BTS became a world star. But not many understand the history of Korean music behind the group. BTS did not pop out of nowhere. There is a rich history of Korean music behind it. Without proper understanding of the background, some think that BTS is an imitation of Western pop culture,” he claimed. “It’s the same with Korean literature. Foreign readers love works by novelists such as Han Kang and Pyun Hye-young,” Kim said. 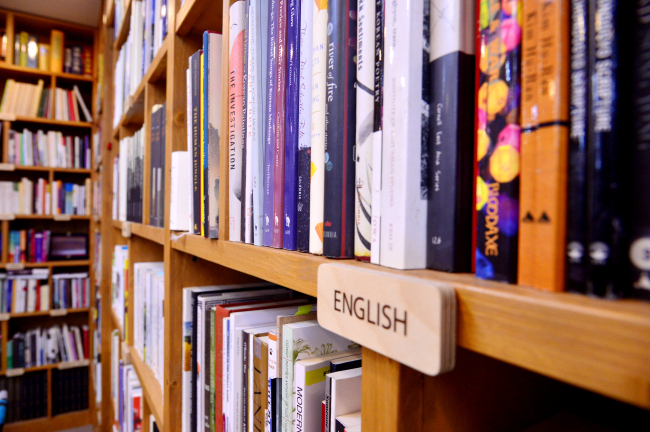 “Some say that the latest styles of Korean writers are copies of Western writers. But they have their roots in Korean literature with a long, rich history. Foreigners, however, do not know about the old works. We should work on making international readers understand the background,” he said. The overall problem, according to Kim, is the lack of translators. Kim explained that there are not many literary translators who could be given a project with full trust. The situation with English might be better, but for other languages, there are not many choices, he said. What could be done to nurture better translators? The answer is always simple: Encourage young foreign people’s love of Korean literature and be patient with the long-term investment. LTI Korea opened its Translation Academy in 2008 to foster the next generation of professional translators of Korean literature. Promising students who majored in Korean literature at overseas universities are selected for the fully sponsored two-year program. “But after finishing the program, the students cannot receive a degree because the academy is not an accredited educational institute,” Kim said. “The students, who are at an important time in their lives, have to make a choice of investing two years in a course without a degree. So we will work on persuading the authorities to resolve the issue,” he added. Having studied Korean literature, he is not proficient in English, today’s lingua franca. But he does not think that his lack of English will pose a hurdle in his duties. Kim said his comprehensive understanding of Korean language and literature could be a strength. “Having been in the scene of literary production for a long time, I may understand the system better. Also, thanks to my major, I am familiar with the history and characteristics of Korean literature,” he said. Then, here lies the ultimate question: Why should we promote Korean literature to the world? “Compared with the size of the economy, not much is known about Korean literature abroad,” Kim said.